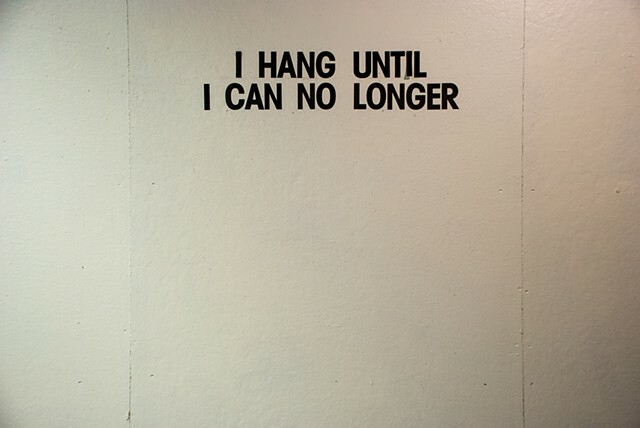 "I Hang Until I Can No Longer"
By using text in place of a photograph or a video, the performance is determined by the viewer. The one aspect of a live performance that is missing in its documentation, is the energy and viewers self awareness of the present moment. The text not only is performative itself due to the stick-on letters which don't want to stay on the wall for very long, the viewer becomes part of the performance as well.